The Blacktip Shark is a fast and sometimes aggressive predator and generally hunts in the mid-water region of inshore areas. It can withstand short periods of reduced salinity and may, therefore, be encountered near river mouths and estuaries, which account for why it is so commonly found on Aliwal Shoal and Protea Banks off KwaZulu/Natal. The diet consists largely of bony fish including fast gamefish, the juveniles of other shark species, stingrays, cuttlefish and crayfish. During the summer, pregnant females move to specific nursery areas where they give birth to 6-8 young. 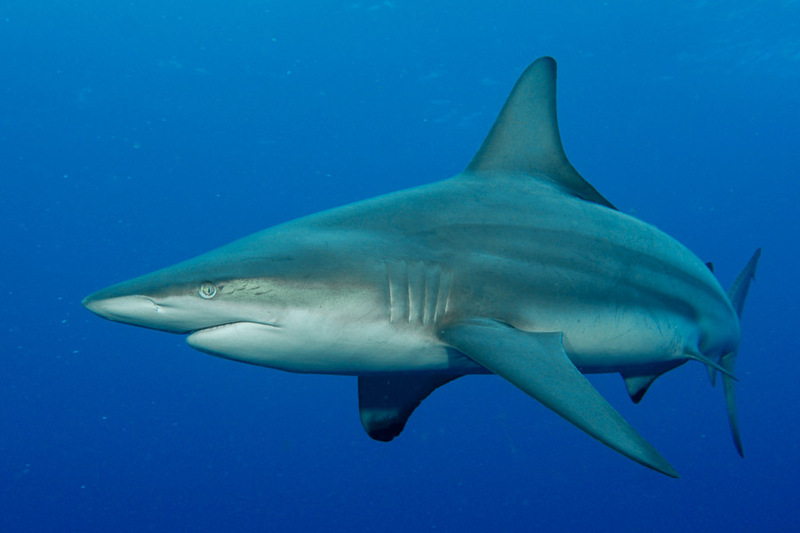 The Blacktip Shark is potentially dangerous to bathers, but there are no recorded incidents of Blacktip’s harassing divers. 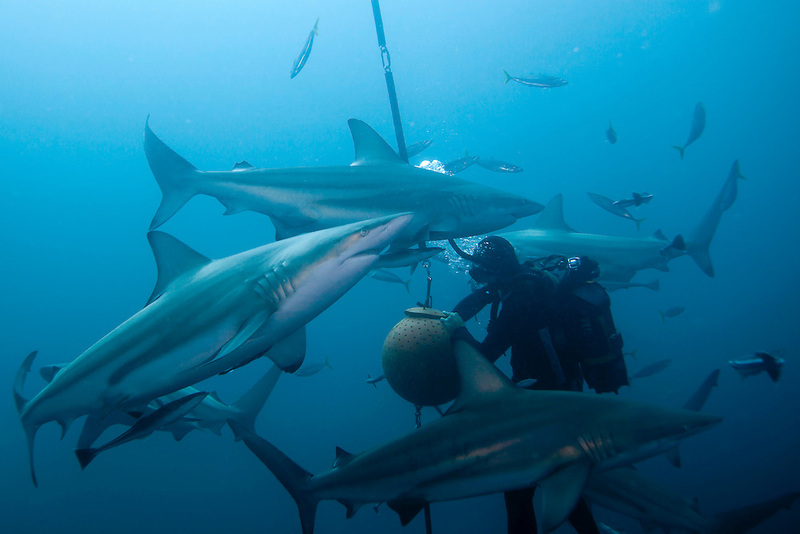 Blacktips are commonly encountered when doing a baited, or reef dive, on both Aliwal Shoal and Protea Banks.